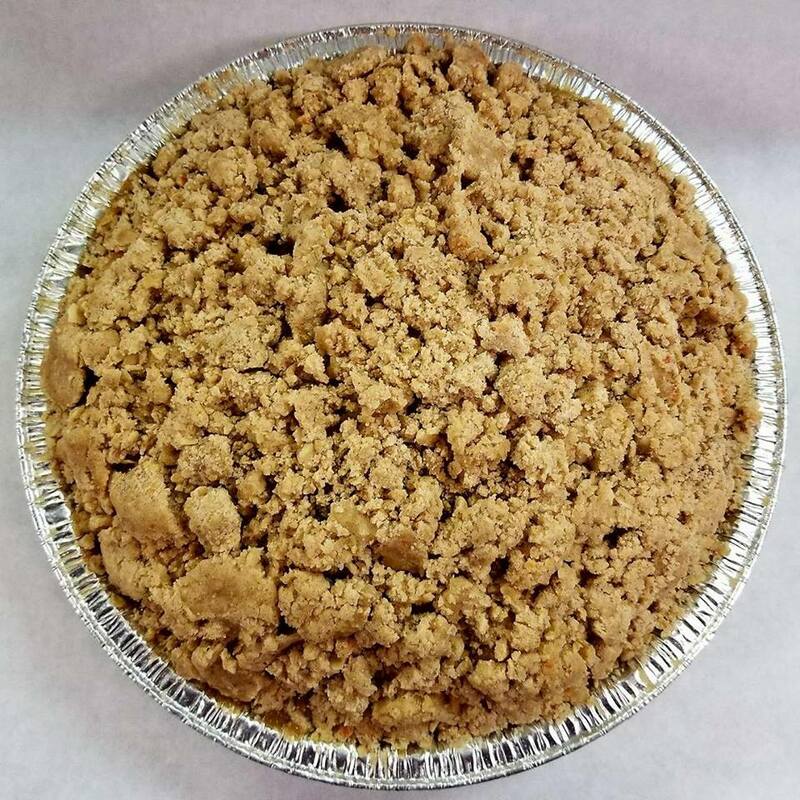 Made with local farm fresh apples (in season) with cinnamon, oatmeal streusel topping, and no bottom crust. Order baked or raw to bake and serve warm. Bake at 350 degrees until crisp on top and filling is bubbling. Cool slightly before serving or rewarm as desired.